services, and temporary and permanent placements. We offer a tailored solution to deliver on our clients’ specific needs. OGR is known for its can-do approach and commitment to service excellence. Our client portfolio includes smaller local companies through to multi-national organisations across the oil and gas sector such as E&amp;P operators, vessel management companies and construction organisations who work within the industry. OGR has a strong background in providing exceptional contract, temporary and permanent white collar personnel across a range of roles in the oil and gas sector. This means we are able to quickly gain an understanding of our clients’ needs for engineering personnel, from concept and design, through to start-up and operations. Our sourcing strategy includes our extensive industry networks, our internal database, strategic advertising and direct head-hunting. OGR works with leading oil and gas companies. Proven track record of providing white collar personnel with a pro-active, performance driven culture. Ability to integrate with clients’ personnel and onshore and offshore teams. Experienced resourcing staff who are committed to selecting and mobilising competent and capable personnel. Our two principals have deep functional oil and gas experience across a diverse range of white collar roles. This industry familiarity ensures highly targeted and efficient candidate identification, unlike generic recruitment organisations that simply look to fill any vacancy. We pride ourselves on forming lasting, close working relationships with our clients. Face-to-face and on-site briefings are an essential part of our process, so our staff is able to fully understand your recruitment needs. to long-term project requirements and fulfil urgent and surge requirements quickly and professionally. We pride ourselves on our turnover time from initial request to placement of personnel. At OGR we understand that our clients are diverse and that they all have different requirements and internal processes. We work closely with you to ensure we work in accordance with your policies and can tailor customised solutions to address your individual needs. We can either provide you with the full recruitment service, or we design a personal recruitment package that incorporates the elements you require. OGR can provide third party contractor personnel for short or longer term assignments for your engineering needs. In addition we can provide temporary staff for emergency relief, increased business demands and peak periods. OGR consistently strives to not only match the right skill-set to your job requirement but also work to understand the culture and environment of your company ensuring the right personality profile you are seeking is selected. At OGR, our labour supply and placement model makes people management easy. We apply a rigorous vetting and selection process to ensure you get the right people to meet all your short and long term requirements sooner. Monitor and provide post-placement follow-up for all contract, temporary and permanent employees. Strong relationships with training providers to support your training and compliance requirements. OGR is committed to the health and safety of our employees and any personnel who come into contact with our company. We ensure that our internal staff, as well as the staff we supply to our clients, comply with all relevant regulations and legislative requirements, workplace health and safety policies, and police checks if required. We retain strong training and competency matrices to ensure our training of personnel is up to date and meets our clients’ requirements. OGR also has a specifically designed HR software system that ensures all of our staff have all the necessary training and qualifications. Should personnel be required to go offshore or visit a site then personal protective equipment (PPE) is supplied in accordance with the Workplace Health and Safety Act. Any additional requirements can be discussed with the client. Furthermore, we are in the process of becoming ISO accredited for Health Safety and Environment (ISO 4801: 2001 and ISO 14001: 2004) for best practice management of risks in our services. OGR is on track for certification to these standards by the first quarter of 2016. OGR’s services are provided in accordance to our ISO 9001 certified Quality Management System awarded by Bureau Veritas. This professional focus and certification ensures our clients will consistently receive high quality service delivery, and the adminstration and support of all placements is professionally managed. 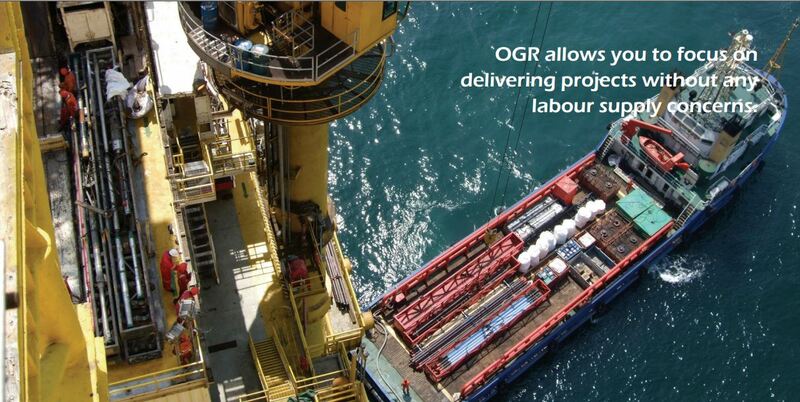 OGR was awarded a general licence in 2009 to conduct business as an employment agent and is valid until 2018. This licence comes under the Employment Agents Act 1976 and was granted by the Government of Western Australia by the Department of Commerce. OGR has strict HR/IR guidelines that have governed the development of employment contracts for fulltime, casual and contracted personnel. We are also fully compliant with all state and federal statutory requirements for GST, taxes and insurances. OGR was founded by Ian Cantley who has 20 years’ experience in the oil and gas, mining, construction and property management industries, with 10 years spent as a chief engineer working in North America and Australia. As OGR’s Managing Director, Ian is committed to meeting our clients’ needs and is supported by our management team and head office administration team. Joanna has 17 years’ experience in recruitment, predominantly working in the oil and gas industry both in Australia and internationally, with some exposure to the mining and construction sectors. Joanna has worked with oil and gas clients such as Chevron, BP, Inpex, Woodside, Technip and Subsea 7. Her main area of expertise in the last eight years has been working in business development and account management roles. Russell has worked in the offshore oil and gas industry for 24 years, predominantly in the subsea sector. His experience includes working with most of Australia’s oil and gas operators such as Woodside, Chevron, Santos, BHPB, ConocoPhillips, Vermilion and Coogee.